COMMENT | Janelle (not her real name) is now a single mother after her husband passed away several years ago. Suffering from epilepsy, she has to take care of her only son who suffers from multiple disabilities. “Anytime I can get into a fit, and it is dangerous for me to be driving at night,” she said. In recent months, she said her medication has changed. “The hospital did not have the budget like before; therefore, they have switched to some generic drugs. “I was on it for a couple of months but it made me very unstable until I decided on my own to drop it and fork out my own money to buy the same medication that I was on before this,” she said. Only two days ago, she said she was a lot more stable than when she was depending on the generic drugs prescribed by the hospital. The worst affected group are the pensioners. They are now finding it hard to get their medicine at public hospitals. Sometimes, the pharmacists at public hospitals tell patients to buy medicine from private pharmacies instead and then claim back the money spent from the government. 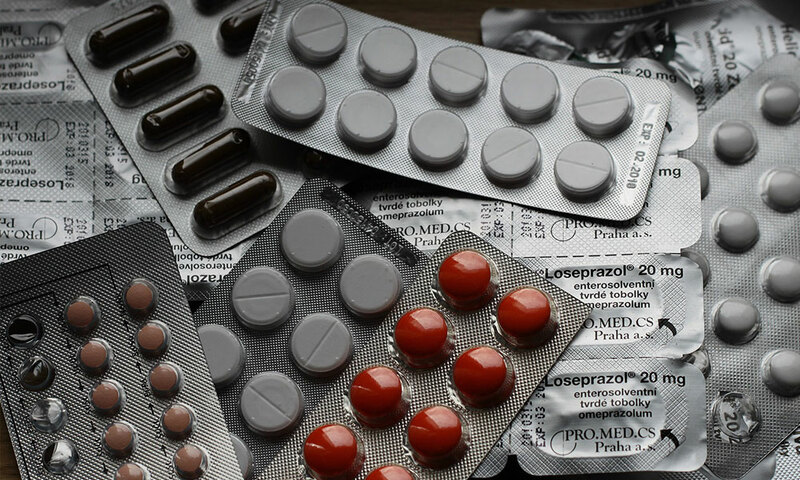 Speaking on condition of anonymity, a retiree said that he has been getting complaints from other pensioners who said that with the pensions that they are receiving, they are finding it hard to afford these medicines. This is what is causing a lot of hardships for these veterans who had served the country in various capacities. Some were in the civil service; others were serving in the army to protect the country from enemy threats. 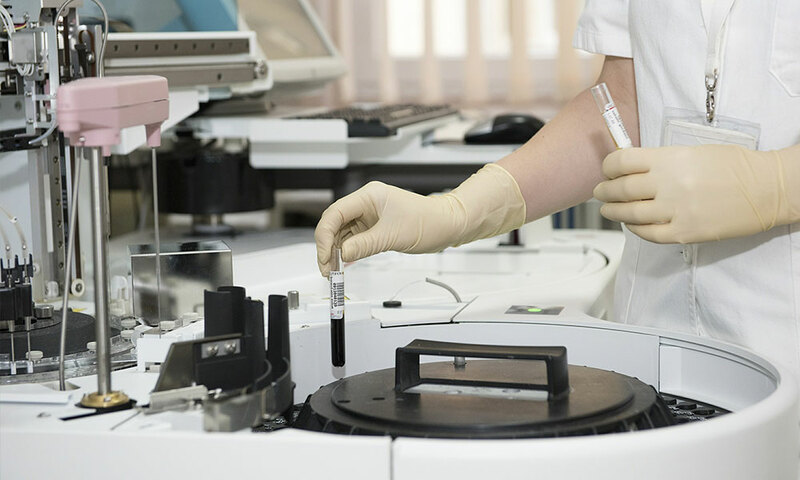 Last year, I had my blood sample taken at a hospital for a prostate-specific antigen (PSA) test. I need to take the test every three months to help monitor the presence of prostate cancer. However, three months later, when I went to the same hospital for a follow-up appointment, I was told that the laboratory was unable to conduct the PSA test. The hospital did not even have the courtesy to contact me; therefore, I wasted a few hours of my time waiting in the queue for the doctor, only to learn that he could not advise me unless he sees the PSA test result. When I enquired with the hospital’s public relations officer, I was then told that the hospital did not have enough money to buy the reagents for the test. I am sure my story has been repeated in the lives of many other older patients. From then on, I have had to take my PSA tests at a private diagnostic centre once every three months. Each test costs RM60. It seems that our country’s hospitals can no longer provide quality medical services to Malaysian citizens. According to Free Malaysia Today, hospitals are having to recycle some single-use devices. This practice had apparently begun after budget cuts were imposed on the sector in 2015. Especially when the country’s economy is underperforming, people who could previously afford to go to private hospitals are now turning to public hospitals. This is putting further strain on public hospitals. If the economy is doing so well, based on what Prime Minister Najib Abdul Razak claims, then, the goods and services tax (GST) should be abolished. The petrol subsidy should be put in place again, and reduced gradually. When I search online for the country’s GDP for 2016, a chart provided by Google based on public data clearly shows us where the GDP of three countries – Thailand, Malaysia and Singapore - lie over a period of some four decades. While all three countries were very close in terms of their GDP in 1976, forty years later, Thailand has overshot us with an annual GDP of nearly US$400 billion. Malaysia and Singapore, which a smaller population, are still around US$290 billion. Even the Philippines has overshot us at US$304 billion. So, how can Najib explain convincingly that the country’s economy is shining? See (centre) gestures during the press conference. He is accompanied by PKR women national vice president Voon Shiak Ni and PKR Stampin branch deputy youth chief Jeffery Mok. KUCHING: Batu Lintang assemblyman See Chee How has urged Chief Minister Datuk Patinggi Abang Johari Tun Openg and the state government to hasten the negotiation process with the federal government for the devolution of power with regards to matters concerning education in Sarawak before talking about the building and renovation of dilapidated schools, most particularly those in the rural parts of Sarawak. See, who is state PKR vice chairman, opined that there must be a review on the packages in the building and renovation of dilapidated schools to ensure proper and effective monitoring, transparency and accountability in the projects so that they are carried out without excessive costs, and that the construction work must be completed and delivered on time. “The SK Pulau Seduku construction project was part of a package involving the building, renovation and extension works of seven schools in Sarawak, using the pre-fabricated Industrialised Building System (IBS) in a contract worth RM28.5 million, directly awarded to a public company in Peninsular Malaysia in April 2016. “In the case of SK Pulau Seduku, the building of the six-classroom boarding school with facilities to accommodate 12 teachers and 26 students was earlier scheduled to be completed by October 2016 and extended to January 2017. The contractor was also a Peninsular Malaysia-based company,” See told a press conference here yesterday. 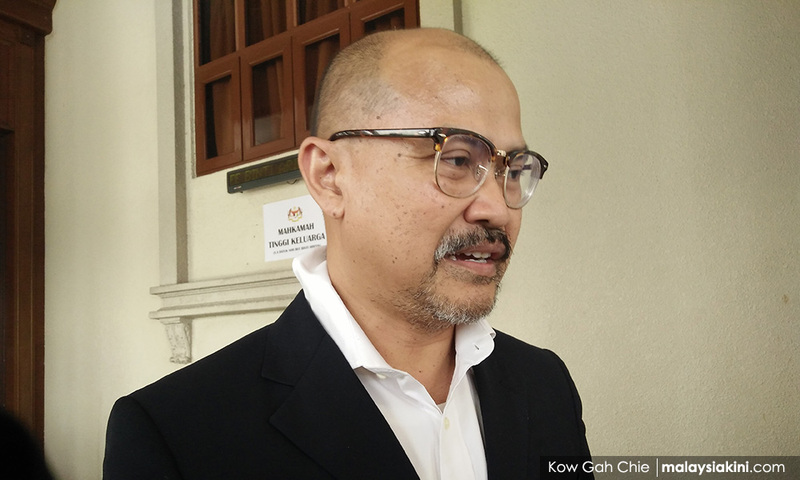 He said Prime Minister Datuk Seri Najib Tun Razak was personally involved in the supposedly fast-tracked IBS projects, to deliver the projects in weeks and months. See stressed the state government must insist that the allocation for the projects to rebuild, renovate and extend dilapidated rural schools be given to the state to administer, manage and supervise to ensure timely completion. However, he said the state must put in place the necessary safeguards for transparency and accountability in the administration and management of the projects, adding that to ensure that the allocations are better utilised to complete more school rebuilding and renovation projects, the projects should be awarded through open tenders. Additionally, See said the state Education Department must engage other state departments to ensure efficient project consultant management and have sufficient technical staff to supervise the implementation of the projects. “It is necessary for the local divisional education offices and the local elected representatives to be vigilant and bear responsibility for the completion of these projects, to report any delay or stoppage of works to the relevant department and agencies. In view of this, he said the state government must devise a blueprint to institutionalise these changes to ensure better implementation of the projects. KUCHING: Abolishing the Goods and Services Tax (GST) and giving special focus to Sabah and Sarawak’s development were among the key focus put forward by Pakatan Harapan in its Alternate Budget 2018 released today. The alternative budget was unveiled in Parliament ahead of Prime Minister Datuk Seri Najib Tun Razak tabling the government’s Budget for 2018 in Parliament on Friday. In the report for Malaysia with the theme “Spend Wisely, Cut Taxes and Choose Hope”, the party called for a new deal for Sabah and Sarawak, citing a lack of balanced development for the two states. “THe long-running economic joke is that the Pan Borneo Highway will be promised by UMNO-BN at every single election campaign,” Pakatan Harapan said in the 78-page Alternate Budget. 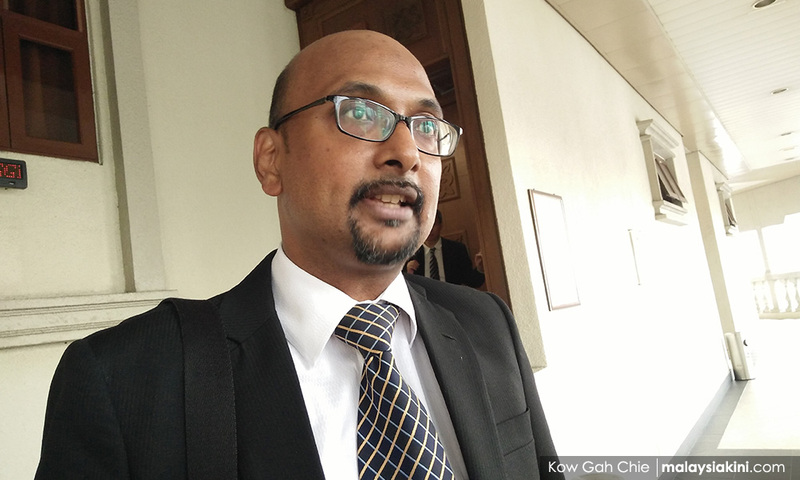 “What is surprising is that this so-called political fixed deposit of the UMNO-BN continues to believe this narrative while they sit idly by, watching the massive developments of highways in Peninsular Malaysia. 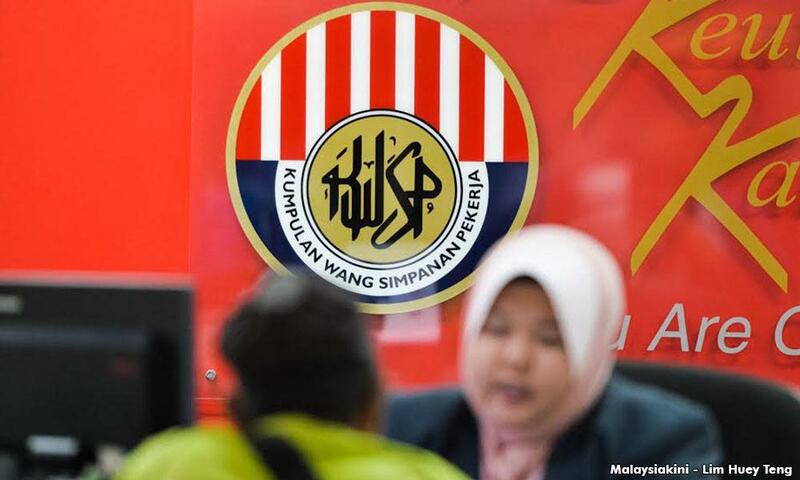 The party said that for too long, the state governments have been denied their appropriate budgets as the pace of development has been dictated from Putrajaya. On the point of oil royalties, it agreed in principal to increase the royalty rates for oil-producing states Kelantan, Terengganu, Sabah and Sarawak, noting that these four states have the highest incidences of poverty. “Furthermore, we hear the demands of Sabah and Sarawak governments to create their own equivalent oil and gas operations,” it highlighted. Meanwhile, the party also said it would abolish the GST. 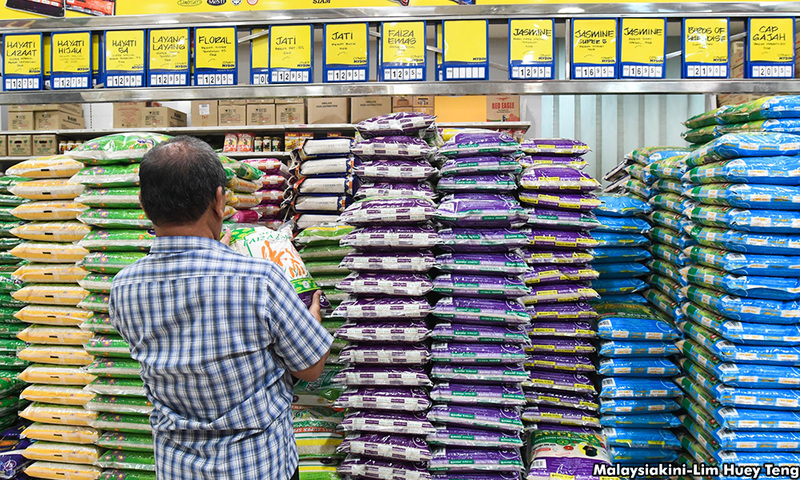 “On the issue of GST, we differ starkly from UMNO-BN,” it said. “Pakatan Harapan is committed to eliminating GST via zero-rating, but we will keep its reporting system. “We aim to revert to pre-GST numbers on the matter of consumption tax. In effect, this means that we will see a revenue shortfall of RM25.50 billion. With this shortage, the coalition hoped to collect an additional RM2.81 billion in corporate income tax, RM1.46 billion in excise duties on goods (except motor vehicles) and RM1.82 billion in real property gains tax. It also expected a 20 per cent increase in car sales following the abolishment of GST, which would contribute to RM1.93 billion in revenue through the collection of import tax, excise and motor vehicle license. 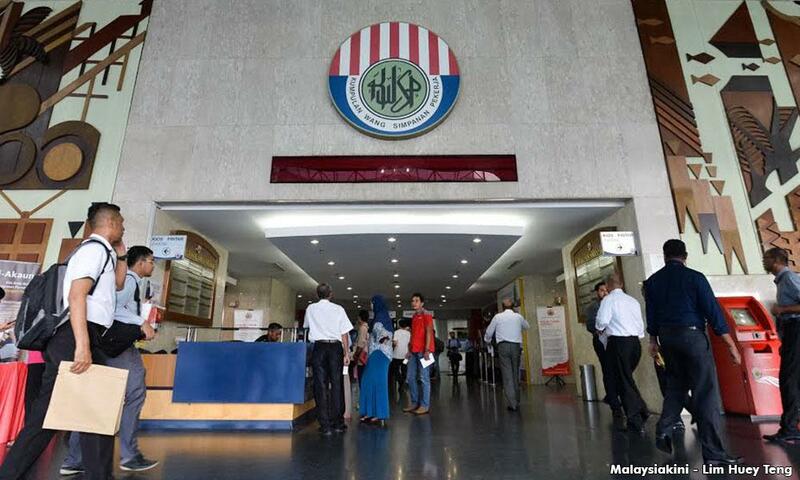 The party also outlines other suggestions in the report, such as calling for an independent Bank Negara, measures to reduce household debt, revamping Malaysia’s revenue policies and focus on cryptocurrencies and financial technology. The DPM’s announcement that the government will build a hospital in Bangladesh for RM3.5mil, and to be completed within a month’s time is a bitter pill for folks in Sarawak to swallow, especially those in the rural areas. Why does this UMNO/BN government persist in sending our money overseas when the people are still crying out for basic facilities in Sarawak? First the PM went to America and pledged to help Donald Trump strengthen the American economy by buying aeroplanes and investing our EPF funds there. Then the DPM went to Bangladesh and promised to build a hospital. Do they not know that there is urgent need for funds in Sarawak? There are 1,454 schools in Sarawak, of which 1,020 are dilapidated and 415 in critical condition. The teachers, parents and students are crying out for better facilities. We need better roads in the rural areas, but according to the ministers, the federal government does not have the funds to pay for them. 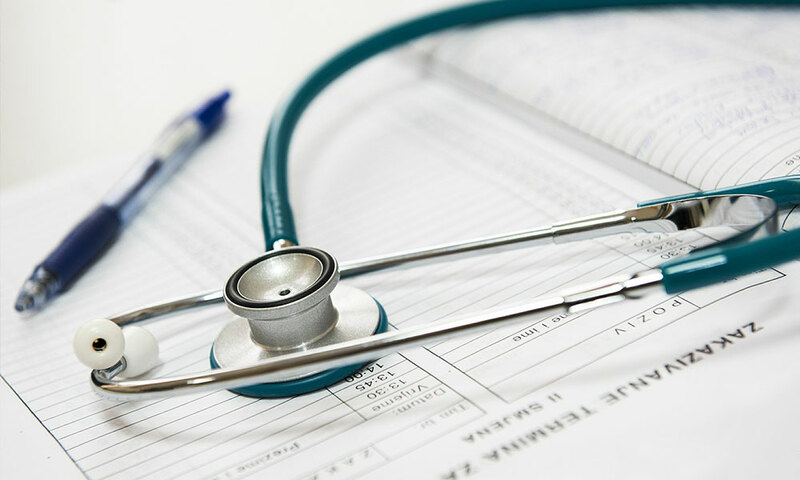 We need more rural clinics with trained staff, and more hospitals to serve the people, but there doesn’t seem to be any urgency on the part of the federal government to provide for us. Our hospitals do not even have enough funds to stock up on adequate medicines for patients’ prescriptions but the DPM is quite happy to dish out RM3.5mil to build a hospital in Bangladesh? Sarawakians are beginning to wake up to the sad reality that we have been short-changed for 54 years, still being one of the poorest and least developed ‘states’, constantly having to ask the federal government for funds for our development. We are aware that the UMNO leaders come to Sarawak making many promises especially near election time, but conveniently forgotten once the election is over. There is a saying, ‘Charity begins at home’, but we are not even saying that now – we just want what should be our rightful share of the funds and resources first. The actions of the PM and DPM clearly show that the UMNO/BN government is more concerned about building up their badly tarnished image than in providing for the people of this country. What more reason to make sure there is a change of government at the upcoming elections? 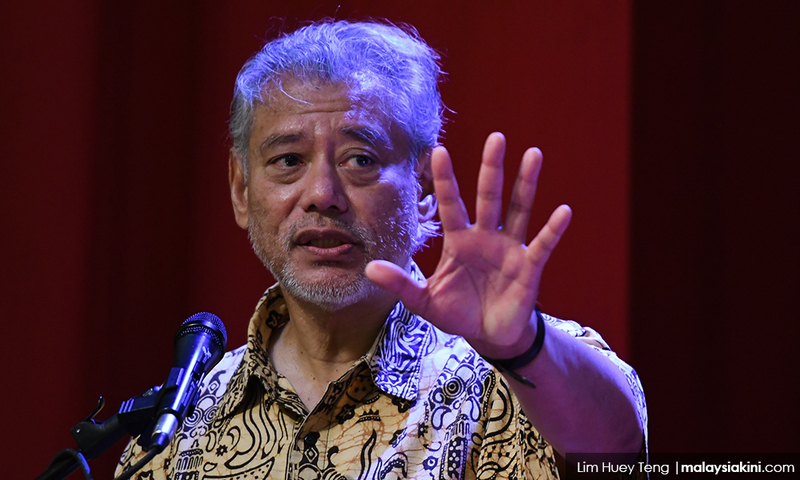 This interview with economist Jomo Kwame Sundaram, former assistant secretary-general for economic development at the United Nations, was conducted in August for publication in the run-up to the country’s next Budget for 2018 due to be announced next Friday. Question: Malaysia is close to achieving developed country status and is growing at a reasonable pace. Why are you concerned then? Jomo: Becoming a developed country involves much more than achieving high-income status. But even by reducing ‘developed country’ status to becoming a ‘high-income’ country, we are not quite there unless we resort to statistical manipulation, for an example: by using 2013 exchange rates, or by ignoring about a third of the labour force who are ‘undocumented’ foreign workers. For example, the ringgit declined from RM3.2 against the US dollar in 2014 to almost RM4.5 before recovering to the current RM4.2! But then we continue to use the old exchange rate or purchasing power parity (PPP) to pretend that we are almost there. The only people we are cheating is ourselves. Also, if we continue to grossly underestimate the number of foreign workers in the country, then the denominator for calculating per capita income goes down. Similarly, by excluding the lowest paid foreign workers, income inequality has been declining when their inclusion may give a different picture. Thus, we can reach supposed high-income status more quickly if we pretend there are only one or two million foreign workers, when even the minister admitted last year to about 6.7 million! Seven million, mainly undocumented foreign workers in Malaysia comes to over a third of the country’s total labour force. 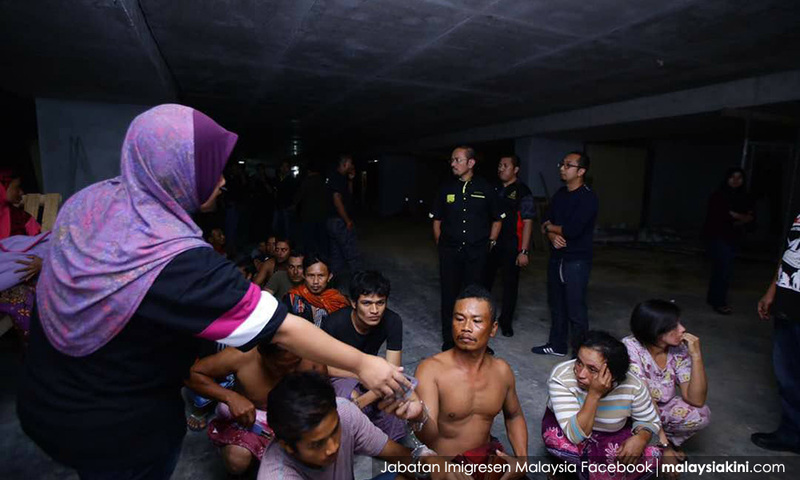 Many of them work and live in far worse conditions than the worst-off Malaysian workers. We are thus dependent on a huge underclass, largely foreign, whom we are in denial about. 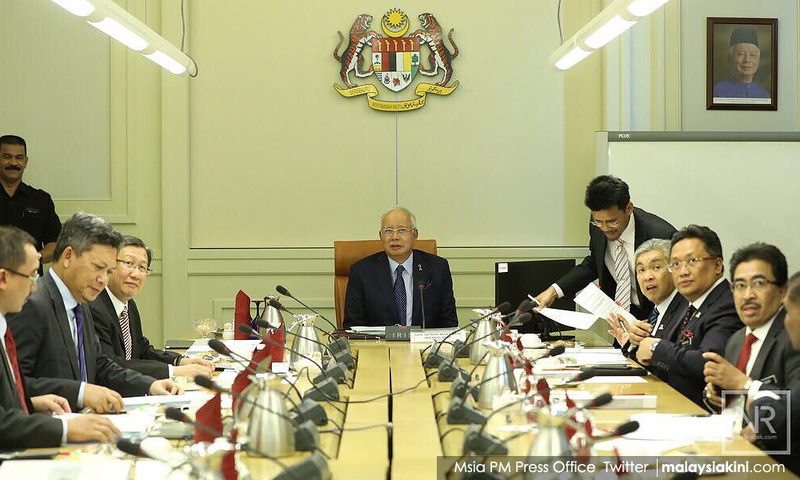 What do you think of Prime Minister Najib Razak’s New Economic Model? Jomo: Let us be clear about this. The New Economic Model, or NEM, is really a wish-list of economic reforms desired from an essentially neo-liberal perspective. That does not mean it is all good or all bad. It contains some desirable reforms, long overdue due to the accumulation of excessive, sometimes contradictory regulations and policies. Although the NEM made many promises and raised expectations, most observers would now agree that it has rung quite hollow in terms of implementation despite its promising rhetoric. As we all know, the NEM was dropped soon after it was announced for political reasons, and has never been the new policy framework it was expected to be. Turning to actual policy initiatives, to the current administration’s credit, it accepted the minimum wage policy and BR1M (Bantuan Malaysia 1Malaysia) idea, both long demanded by civil society organisations, and supported by many, mainly opposition parties. The minimum wage policy has probably been far more important than BR1M in improving conditions for low-income earners. The contribution of manufacturing to growth and employment has been declining in this century. Yet, you seem to be nostalgic for industrialisation when the leadership wants to move to tertiary activities. Jomo: Sadly, instead of acknowledging the problem, ‘premature deindustrialisation’ is being cited as proof of Malaysia being developed although services currently account for most job retrenchments. Indeed, Malaysia has been deindustrialising far too early, even before developing diverse serious industrial capacities and capabilities beyond refining palm oil and so on. We have abandoned the past emphasis on industrialisation, but have not progressed sufficiently to more sophisticated, higher value-added industries. In Japan, South Korea and China, policies to nurture industrialists and other entrepreneurs to become internationally competitive, enabled these countries to grow, industrialise and transform themselves very rapidly. We are suffering great illusions if we think we can leapfrog the industrial stage and go straight to services. 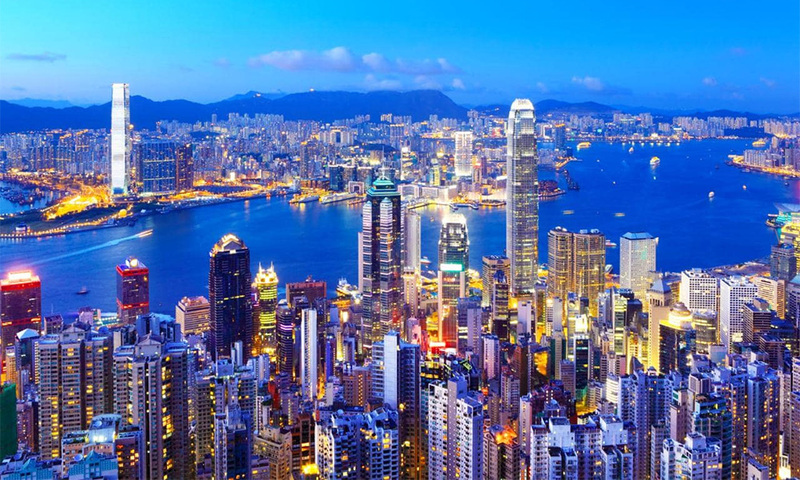 We should not try to emulate Hong Kong because we are a different type of economy. Even Singapore has not gone the Hong Kong way and continues to try to progress up the value chain in terms of industrial technology. We need to stop blindly following policies espoused by international institutions. GST (Goods and Services Tax) is a variant of value-added taxation, long promoted by the IMF (International Monetary Fund). To accelerate progress, we need to develop better understanding of the Malaysian economy – of its real strengths and potential, rather than assuming that the current mantra in Washington is correct, let alone relevant. 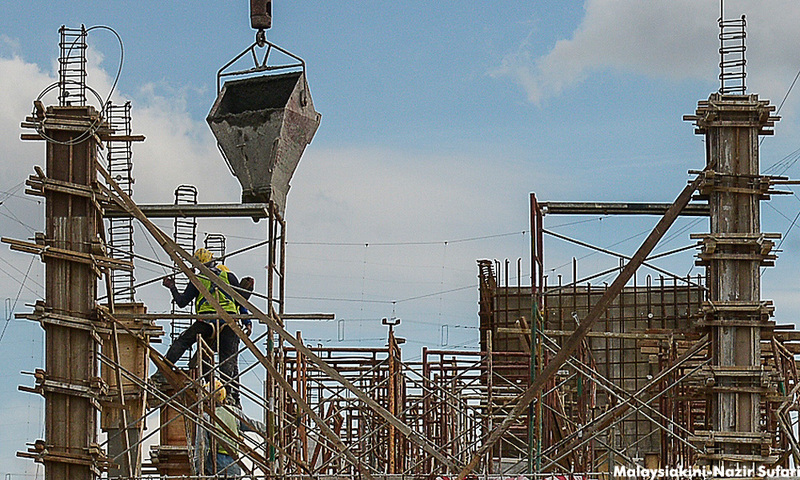 According to the World Bank and others, Malaysia is stuck in a middle-income trap. The argument is that the NEM as well as financial services development are needed to get out of it. Jomo: The idea of a ‘middle-income trap’ is due to Latin American and other countries uncritically following Washington Consensus prescriptions promoted by the Bank and the IMF. The promise is that following their prescriptions would lead to development. Key elements of our own ‘middle-income trap’ are actually of our own making, e.g., by giving up so quickly on industrialisation. The prescriptions imagine we can somehow leap-frog to accelerate development without making needed reforms. The NEM and current official development discourse emphasise modern services, especially financial services, for future growth. But why would investors want to come here rather than, say, Singapore? If they want lower costs, there are other locations. To offer tax breaks or loopholes, or to make Malaysia a tax haven, the question again is why come here rather than Singapore. And how much has the national economy really benefited from the Labuan International Offshore Financial Centre? Do we need to keep making the same errors? Looking at other international financial centres, it is not clear that it will be a net plus for the country, and provide the basis for sustainable development suitable for an economy like ours. Remember, we are no Hong Kong. Historically, we have been heavily dependent on foreign direct investment, not for want of capital, but for access to markets, technology and expertise. 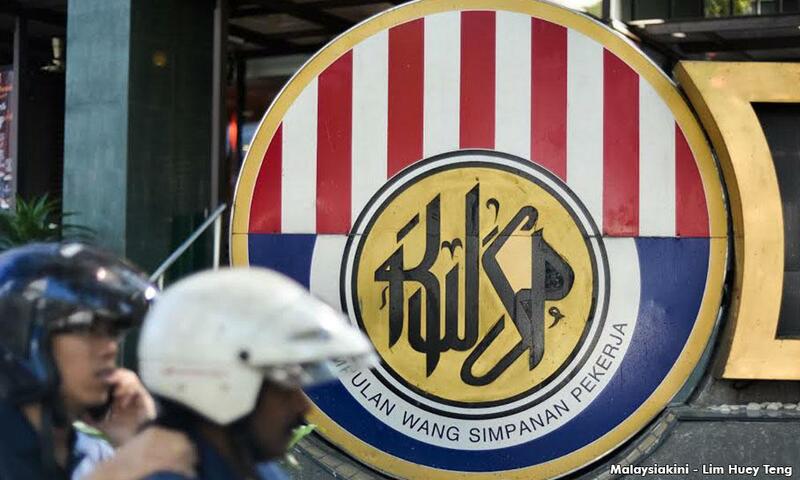 To make matters worse, over the last decade, foreign investors have taken a growing share in publicly listed companies, helped by the falling ringgit in recent years. 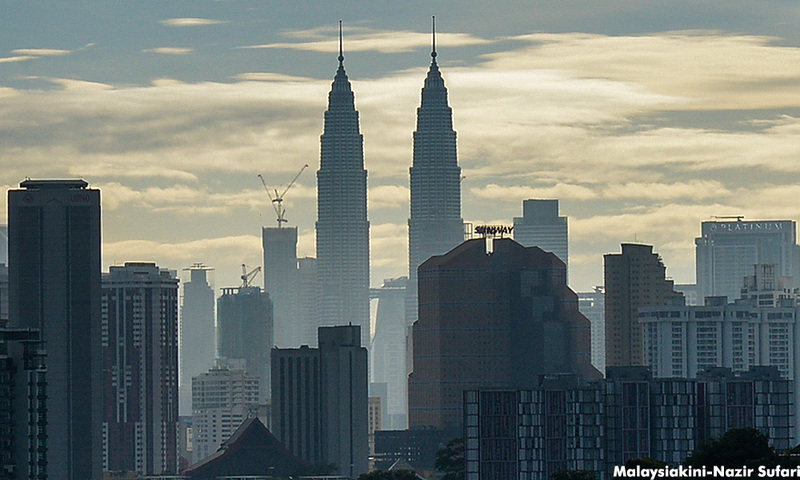 Arguably, foreign ownership of the Malaysian economy has never been as high since the 1970s. As large corporations are increasingly dominant, they have often crowded out small and medium-sized enterprises (SMEs) and other Malaysian firms. In his recent book, Dr Bruce Gale (author of ‘Economic Reform In Malaysia: The Contribution Of Najibnomics’) has praised current macroeconomic management. Jomo: Well, Gale is a political consultant and needs to ‘cari makan’. He is not a serious macroeconomist the last time I checked, but should nonetheless be taken seriously because he reminds us that well-managed ‘public relations’ influence market and public sentiment, including credit and other ratings. He heaps praise on ‘conventional wisdom’ which remains very influential, even if wrong. Gale’s book reminds us that ‘creative accounting’, involving the transfer of debt and liabilities to state-owned enterprises or government-linked companies, has enabled the government to limit the growth of mainly ringgit-denominated federal government debt by rapidly expanding federal government-guaranteed ‘contingent liabilities’. His defence and justification for GST ring quite hollow as his premise is that the middle class has been evading income tax, whereas it is mainly the rich who have successfully done so, whether legally or otherwise. Although he has been writing on Malaysia for over three decades, he appears to have selective amnesia, only giving credit to the prime minister and his late father, whom no one would grudge, while ignoring other prime ministers and finance ministers, in line with the new official narrative. Earlier, you acknowledged that Malaysian economic growth has continued, albeit at a lower rate, over the last two decades. Yet, you also argue that Malaysians may have become worse off in recent years. That sounds contradictory. Jomo: Moderate economic growth has continued since the 1997-1998 financial crisis. More recently, this has been partly due to foreign financial inflows, helped by unconventional monetary policies in OECD economies. Between 2012 and 2014, most people, especially low-income earners, became better off, thanks to the introduction of the minimum wage, continued ‘full employment’ and higher commodity prices. Since then, commodity prices have fallen, unemployment has been rising (especially for youth), the GST was introduced, and consumer confidence has fallen lower than during the 1997-1998 or 2008-2009 financial crises. However, consumer sentiment in Malaysia has been negative for some time according to CLSA and MIER (Malaysian Institute of Economic Research). Indeed, according to Nielsen, the international polling company, it has been poor since 2013, and is now the lowest in Southeast Asia. Food prices have generally continued rising, as transport charges – for tolls, trains, etc. – have been increasing again, with floating petrol prices. Meanwhile, lower commodity prices and climate change have reduced many farm incomes. Official unemployment has gone up from 2.9% in 2014 to 3.5% in 2016, still commendably low, although there are concerns about high youth unemployment, especially among the tertiary educated. Retrenchments have been worst for services, casting doubt on future employment prospects as the authorities rely increasingly on services for growth and jobs. With unemployment low, but rising, wage growth has slowed after the initial introduction of the minimum wage, while real incomes have been hit by higher prices and taxes. You seem to imply that Malaysian wages have been artificially lowered. Jomo: Malaysians, in general, have higher incomes now than before. However, official numbers are misleading as we do not account for the massive presence and contribution of foreign labour, especially undocumented immigrant workers. 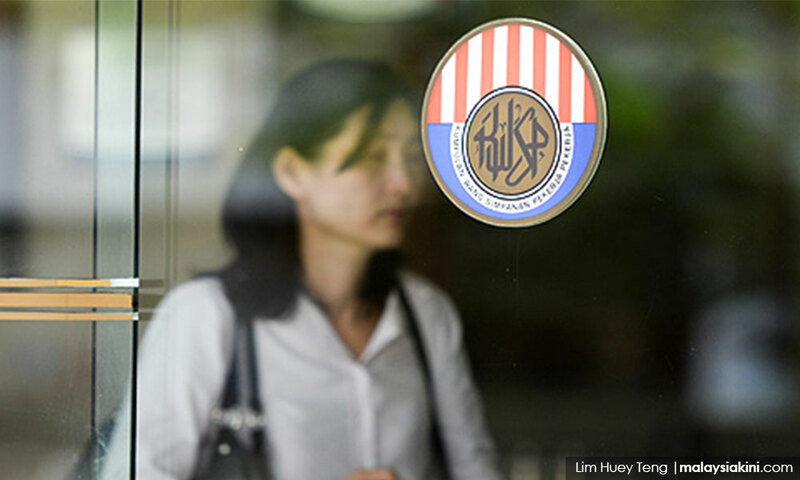 Their status has also served to depress wages for low-income Malaysian workers. Not surprisingly then, labour’s share of national income has gone down relatively. This decline is not due to declining labour productivity, even if that may be the case. After all, higher labour productivity does not automatically raise workers’ incomes. Prevailing low wages retard technical change which would, in turn, raise productivity. Thus, the unofficial low wage policy stands in the way of labour-saving innovation, such as mechanical harvesting, so necessary for development. We need a medium-term development strategy far less reliant on cheap foreign labour. Consequently, wages and living conditions are too low, especially in agriculture. 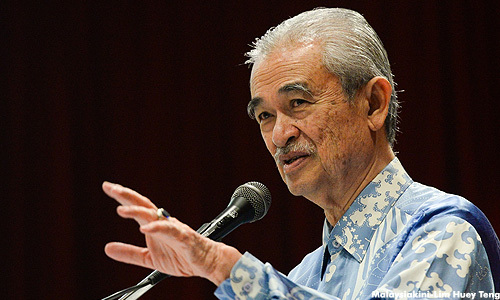 And even smallholder agriculture has been neglected by officialdom in Malaysia for some time, especially after Pak Lah’s (Abdullah Ahmad Badawi’s) (photo) administration. Fighting a jihad against middlemen was not only thinly disguised misinformed and misguided stunt intended to score ‘ethno-populist’ points, but also irrelevant to addressing contemporary challenges. 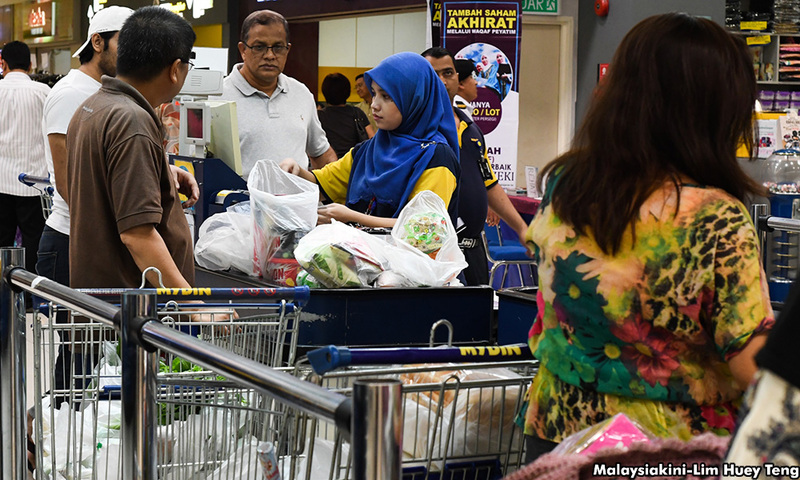 How have recent tax reforms affected Malaysian households? Jomo: Following the introduction of the GST in April 2015, tax revenue from households increased from RM42 billion in 2014 to RM67 billion in 2016, with GST more than doubling the contribution of indirect tax from RM17 billion to RM39 billion. At the same time, income tax revenue has risen modestly from RM24 billion in 2014 to RM28 billion in 2016. 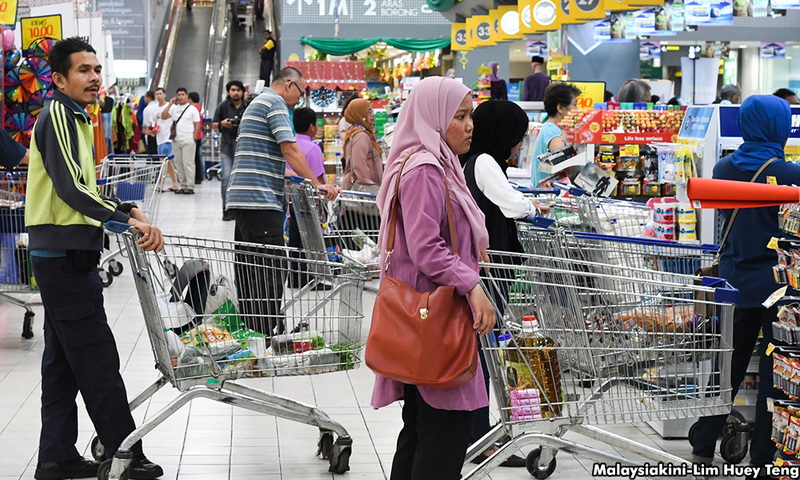 On average, Malaysian households paid taxes of RM5,600 each, more than ever before. Meanwhile, government subsidies and assistance have declined, falling from RM43 billion in 2013 to RM25 billion in 2016, with most food price subsidies removed between 2013 and 2016. Official inflation numbers are low. Why does the public doubt official inflation numbers? Jomo: There are many reasons why the public doubts official inflation numbers, but perhaps most importantly for the country’s open economy, the ringgit exchange rate dropped from RM3.2/USD to RM4.5/USD before recovering to RM4.2 recently. People presume that a decline in the international value of the ringgit by about a quarter must surely have inflationary consequences. The GST of 6% has been imposed since April 2015, directly affecting about half of household spending, with up to a fifth more indirectly affected. Again, this is expected to have affected the cost of living. Price subsidies for sugar, rice, flour and cooking oil have been removed since 2013, raising prices by 14% to 31%. Meanwhile, transport – including fuel and toll – prices have risen on several fronts. Hence, you can understand why people are skeptical. After announcing and then abandoning the New Economic Model, there is now much ado about an economic transformation agenda for 2050. Jomo: The TN50 exercise has been broadly consultative, involving young people, which surely is a good thing. Unfortunately, as with BR1M, it has been used to mobilise political support for the regime before the forthcoming elections rather than open up a more inclusive debate about where the country is headed. The conversation should be about where the country should go and how to get there. It is still unclear to what extent we are going beyond the usual feel-good, futuristic sounding clichés, but this should open up an important debate to give serious consideration to actually achieving the transformation. The country is presently mired in a political crisis that has paralysed effective economic policymaking. Malaysia desperately needs a legitimate and consultative leadership to implement bold measures to take the country forward. Many people in the country know what ails the economy, but we do not have the open discussion needed to really tackle the challenges the nation faces. For example, a free and independent media will not only improve the quality of public discourse, but also the legitimacy and acceptability of resulting public policy. I am amused that the group of community leaders should feel compelled to defend DCM James Masing’s miscalculation in sending 160 of them in a military plane to Putrajaya to pledge support for the PM. Temonggong Wilfred Billy Panyau is entitled to his opinion that it was not disrespectful to be flown in a military plane instead of a commercial plane. If he is happy to be treated like that, so be it. However, Wilfred cannot claim to speak for all ex-servicemen. He and his other community headmen friends may be doing fine, having been appointed headmen and getting allowances from the government, but what about the other retired servicemen who have not been so lucky? It had been reported in 2012 that 60% of ex-servicemen live in poverty and are struggling to make ends meet. What does Wilfred have to say about these 60%? Are they being taken good care of by the government? As for his claim that he and his friends were appointed because the government recognises their sacrifice and commitment to protect the country, that is just illogical. All the existing ex-servicemen made the same sacrifice and had the same commitment, where are their appointments? Many of them are just struggling to survive. If Wilfred claims that he and his friends deserve to be respected for their sacrifice and commitment, where is the respect for the rest of the retired servicemen? How should this respect be shown? I’m sure they would also like to know the answer. DCM James Masing’s initial statement was that he could not afford to fly them all on the commercial plane – that in itself implies that the commercial plane is the preferred option. He also said that the community leaders were there to pledge support to the PM. Only after the criticism levelled at him did he come up with the story about the flight being a reward for fighting communists. Which brings me to ask – exactly how many of these community leaders fought the communists in those days? Whatever these community leaders may say, the fact remains that there was blatant abuse of power by the DCM in using a government asset for his political purpose in flying these people to Putrajaya. Moreover, it was disrespectful of him for using these political leaders this way. Finally, I wish to say to Wilfred and his friends, who are ‘warning’ critics not to use them for political mileage, to please look at themselves square in the face and ask themselves what the DCM was doing, if not using abusing his powers by using them for political mileage? They have been politicised, no matter how much they deny it. When we in the opposition see something unethical, it is our duty to point it out. Sometimes the truth hurts, and it is easier for them to deny rather than to face the uncomfortable truth. Wilfred and other community leaders would do well to remind themselves of the Community Chiefs and Headmen Ordinance 2004 which prohibits them from being affiliated with any political party. They are meant to be politically neutral, and their duties are to speak and act in the best interests of the people they represented. Why should they allow themselves to be used by a BN party to go to KL and pledge support for the PM? It is a sad day indeed when community leaders cannot see that they are being exploited by political parties, and an even sadder day when they insist that they are being rewarded and respected even when others see it as blatant disrespect and an abuse of power. Worst of all, they do not even care that the law prohibits them from being affiliated with political parties. We again reiterate our call for community chiefs to be appointed by the communities and not by the government, so that the position can again be accorded the respect it once enjoyed.